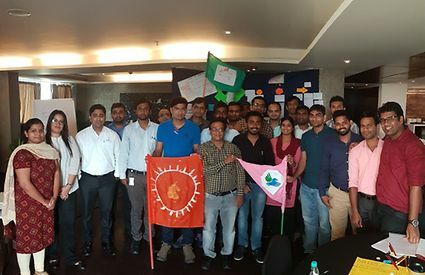 Motivated Employees Lead The Organization To Greater Success Building A Stronger Tomorrow !! We at KSB Tech strongly believe that Employees are our assets and they are key contributors towards success. In order to keep them happy & motivated we always take lot of initiatives. KSB Tech offers a friendly environment to employees to open up their minds and ideas for a betterment of future. 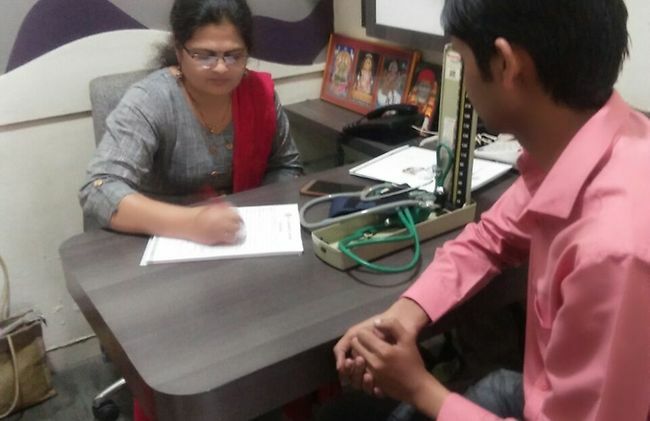 Periodical health check-up camps are organized to ensure fitness & health of our employees. At KSB Tech, we are focusing on ‘On Job Training’ for Technical Competency building as well as ‘Outbound trainings’ for soft skills development of employees. 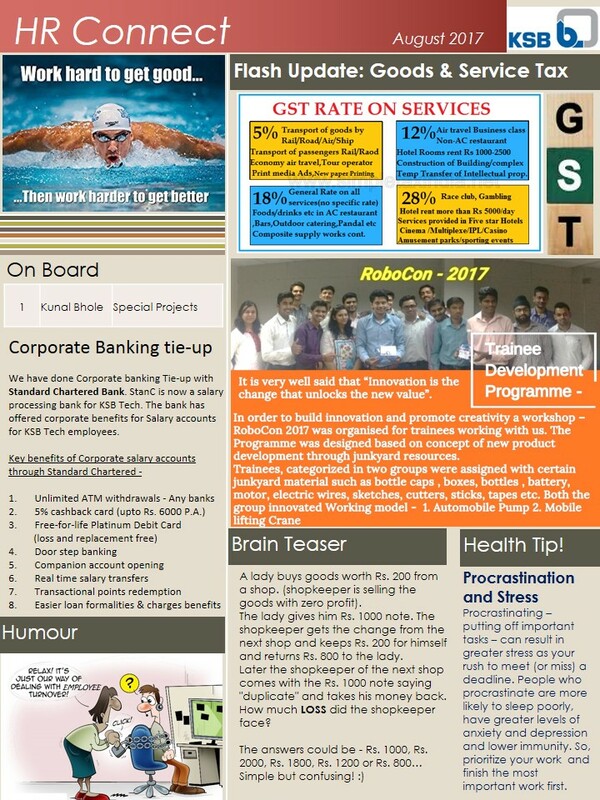 Online portal to help employees for submitting ideas for better tomorrow! Appreciation boosts employees to run that extra mile towards excellence. We have structured Rewards & Recognition policy at KSB Tech for “Individual rewards” & “Team Based rewards”. Following gallery represents "Happy & Proud Moments". 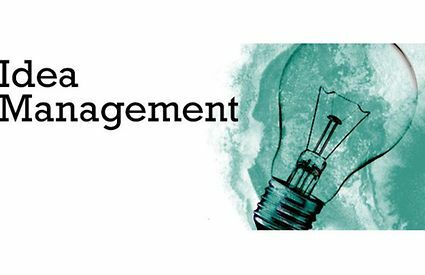 We firmly believe that timely and effective communication creates transparency in the organizational objectives leading to increased Employee Engagement. With this objective, every year we organize an annual address at KSB Tech. The objective of this meeting is to provide a forum for sharing business information, achievements during the year and challenges for the next year. 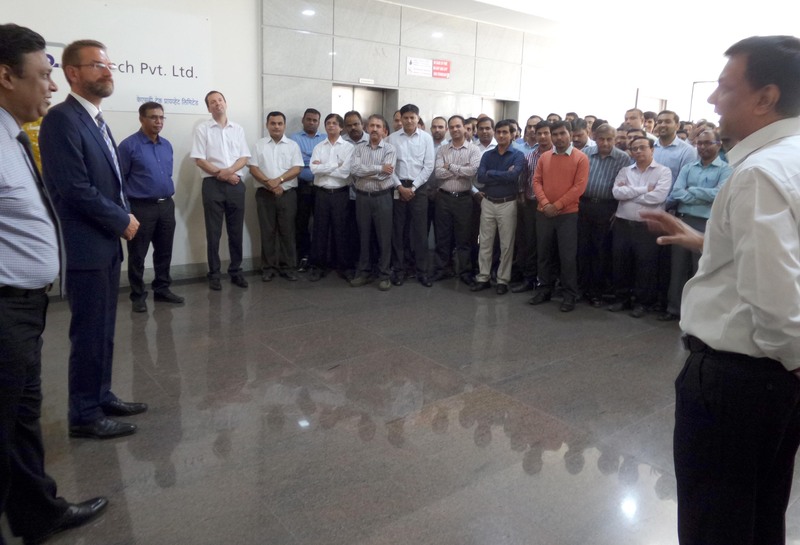 This platform also gives the employees an opportunity to interact with the Management Team. 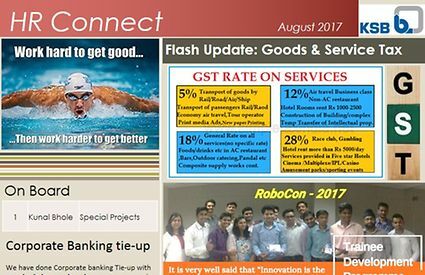 To share happenings in the company, we share Bi-monthly magazine called as HR Connect for internal circulation. We value our association with our surroundings and strive hard to give back benefits to Society in the form of CSR. Under KSB Care Charitable Trust, we have completed prestigious projects with NGOs such as Matoshree, Kamayani, Savali, NAWPC etc.